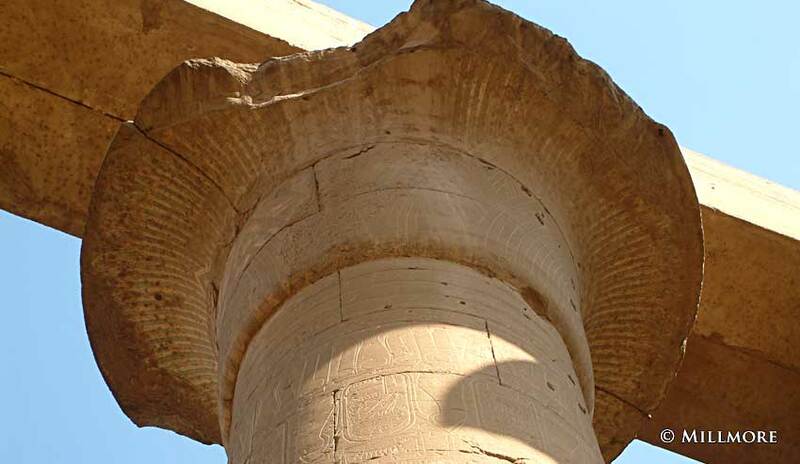 The Colonnade of Amenhotep III has seven pairs of 52 foot (16m) high open-flower papyrus columns, which still support their huge architrave blocks. The reliefs on the walls of the hall bear the names of Tutankhamun, Horemheb, Seti I, Rameses II and Seti II. Tutankhamun decorated the eastern walls but Horemheb later erased the name of the boy king, and inscribed his own. 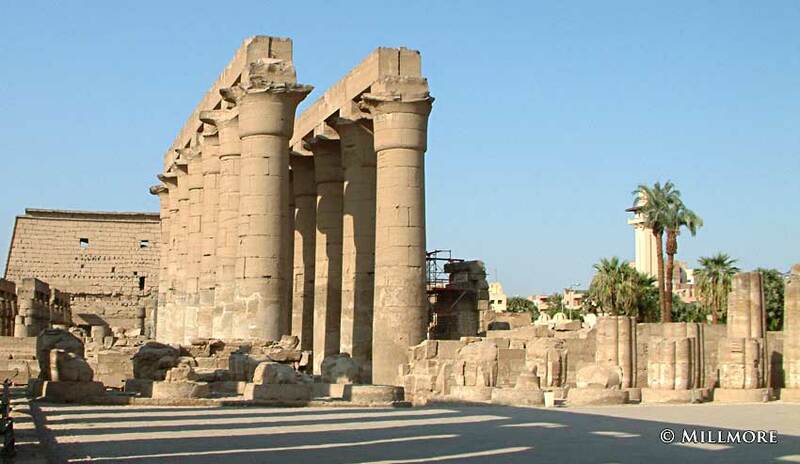 The Colonnade of Amenhotep IIIThe Feast of Amun in the Apts took place around the middle of the inundation period and lasted twenty-four days. 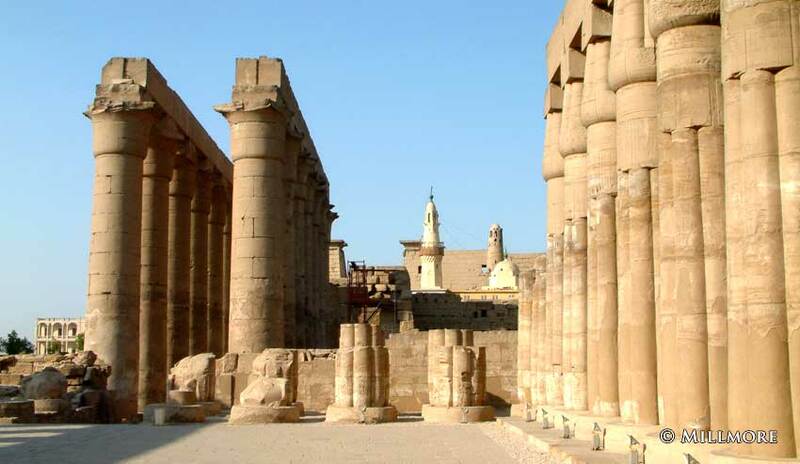 The sacred boats of the Theban triad were brought from Karnak and carried into the temple of Luxor. There would have been a great procession with musicians, dancers, priests, soldiers, and the chariots of the king. 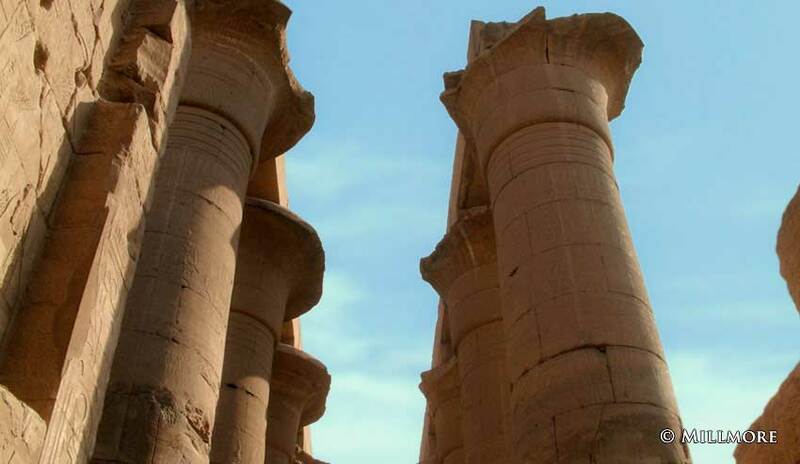 They would have been received at Luxor Temple by the priestesses with flowers and offering. 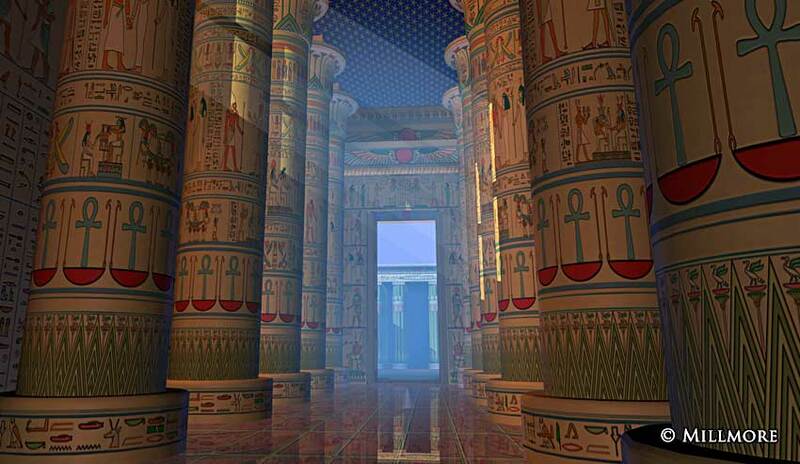 Later in the evening the sacred boats would return home to Karnak. Strangely this boat procession ceremony is still practiced today, although for a different reason. Each year during the Sufi Shaykh Ynsuf’s Festival a boat is carried from the Mosque of al-Hajjaj into the streets of Luxor.